EN LA TARDE DEL PASADO VIERNES 5 DE JULIO EN EL PARQUE AMADO FRANCO BIDO DE MAO FUE JURAMENTADA LA NUEVA DIRECTIVA DEL CIRCULO DE REPORTEROS GRAFICOS FILIAL VALVERDE. DONDE FUE ELECTO COMO PRESIDENTE EL COMUNICADOR Y REPORTERO GRAFICO ALFREDO MADERA Y CRISTIAN BONILLA VICE PRESIDENTE. 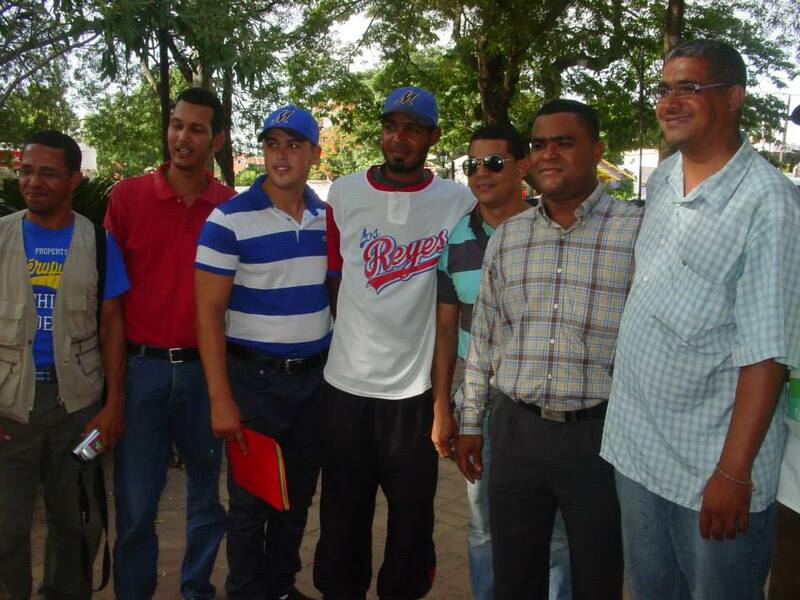 LOS DEMAS MIEMBROS DE DICHA DIRECTIVA LA CONFORMAN JUAN JOSE RODRIGUEZ (TESORERO), OMAR LOPEZ (SECRETRIO ORGANIZACION), NOEL MEDRANO (SECRETARIO). CANDIDO PERALTA (VOCAL), DEIBI MINIER (VOCAL), ENCARGADO DE DEPORTE. ARIEL GUZMAN (VOCAL), ANDRES RODRIGUEZ (DISCIPLINA) , HENRY VARGAS "NITOLIN" (FISCAL QUEJAS Y CONFLICTOS). EL PRESIDENTE JURAMENTADO EL SR. ALFREDO MADERA SE COMPROMETIO A TRABAJAR PARA EL BIENESTAR DE TODOS SUS MIEMBROS A LA VEZ DE TRABAJAR PARA LLEVARLE A LA POBLACION UN TRABAJO DECENTE Y DIAFANO DEL CUAL TODA LA COMUNIDAD ESTE CONFORME.